In honor of Presidents’ Day, here’s a look at some unusual ways the commanders-in-chief have spent their special day. 1. 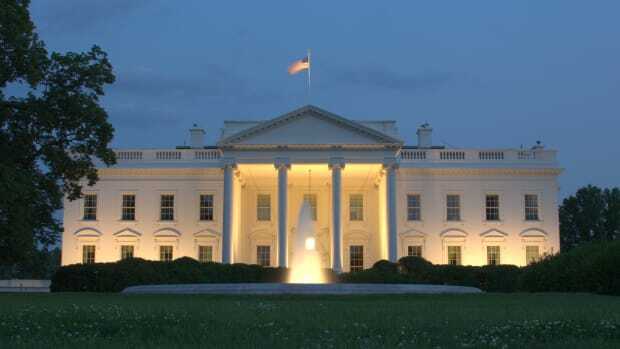 Warren Harding gets the ultimate birthday gift–the White House. When the president’s birthday rolls around, it’s not unusual for him to receive hundreds, if not thousands, of gifts. 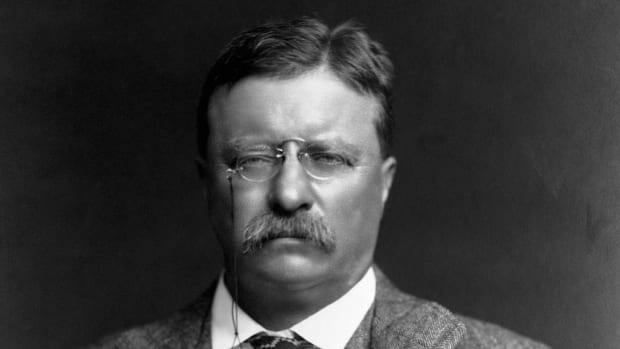 Many of these are from average citizens: Woodrow Wilson received a set of ivory portraits of his parents from his hometown of Staunton, Virginia, and Theodore Roosevelt had so many well wishes on his 50th birthday in 1908 that the White House messenger service was kept busy all day long. Some come from foreign leaders and heads of state; rancher George W. Bush received belt buckles from the Prime Minister of Canada. 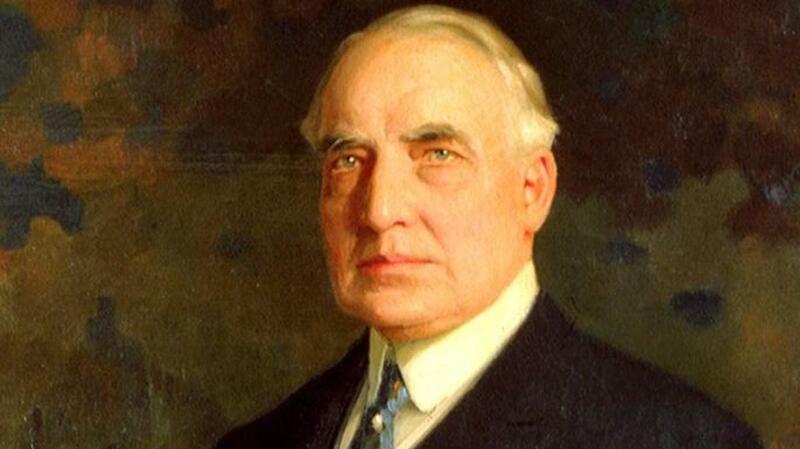 But perhaps no president has gotten a birthday gift quite as precious as Warren G. Harding. 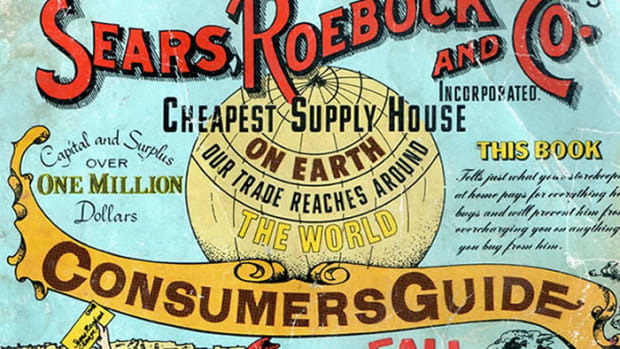 The 1920 presidential campaign had been contentious, as America dealt with the aftermath of World War I and the collapse of the post-war economy. Running as the Republican nominee, Senator Harding of Ohio had promised a return to “normalcy”–a phrase he actually invented–to soothe the country’s rattled nerves. On November 2, Election Day, Harding went out for a round of golf, then went home to celebrate his 55th birthday with friends. Later that day, he received the news that he had won the presidency with a landslide victory, becoming the only person to achieve this feat on their birthday. 2. 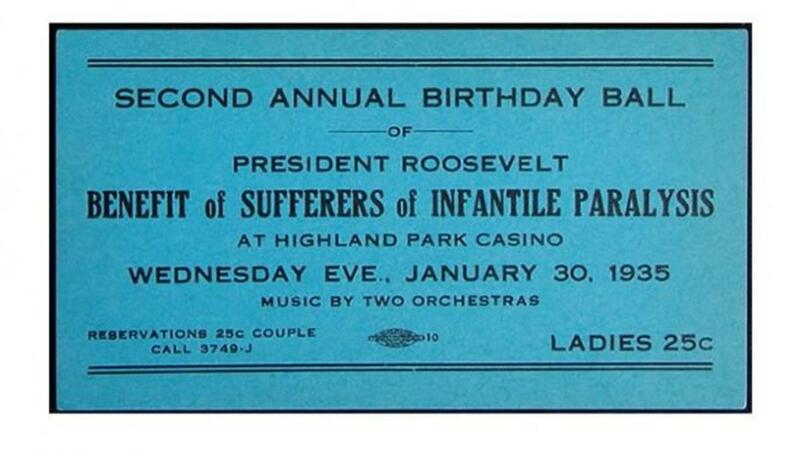 Franklin Roosevelt throws himself thousands of birthday parties, all for a good cause. Ticket to a 1935 “Birthday Ball” honoring President Franklin Roosevelt. When Franklin Delano Roosevelt was partially paralyzed by polio in 1921, he dedicated himself to finding a cure for the disease. After years of unsuccessful therapy, Roosevelt visited the small town of Warm Springs, Georgia, which had garnered a reputation for the healing benefits of its mineral water treatments. FDR became so enamored of the spa and the people he found at Warm Springs that he invested much of his personal fortune to buy it, with the intent of turning it into the world’s premier rehabilitation center. When he entered the White House, FDR brought his fight against infant paralysis to the national level. In 1934, when Roosevelt was approached with the idea of using his birthday as a fundraiser for Warm Springs, he instantly agreed. The idea became known as the “birthday ball.” Communities big and small scheduled dances for January 30, the president’s birthday. The tagline for the events? “Dance so that others may walk.” That first year, more than 600 dances were held around the country, the most glamorous of which was held at New York’s Waldorf-Astoria Hotel. At the star-studded event, where the president’s mother, Sara Delano Roosevelt, was the guest of honor, 52 young girls carrying elongated electric lights and wearing birthday cake-shaped hats gathered in the hotel’s ballroom in the formation of a massive cake. In unison, they turned on their “candles” and wished the president a hearty 52nd birthday. FDR’s birthday balls would continue throughout his presidency, raising millions of dollars for the March of Dimes, local communities and Roosevelt’s beloved Warm Springs treatment center, where he died in 1945. 3. Harry Truman welcomes the first White House bowling alley–and the end of World War II in Europe. 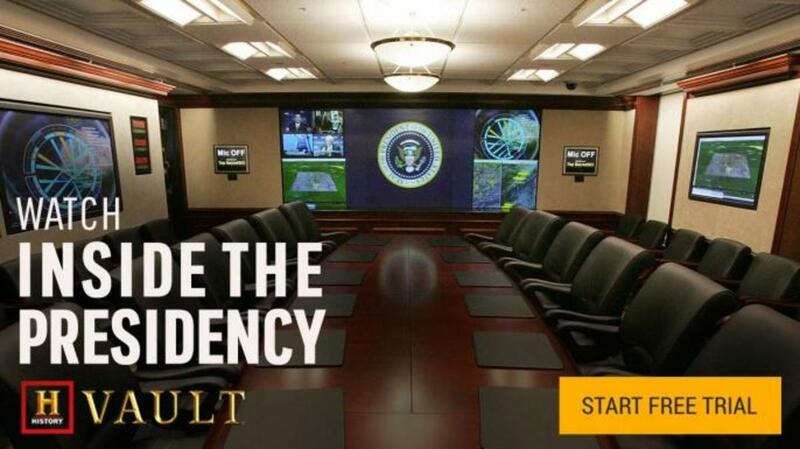 The White House Situation Room is often the scene of tense moments and serious presidential decisions. 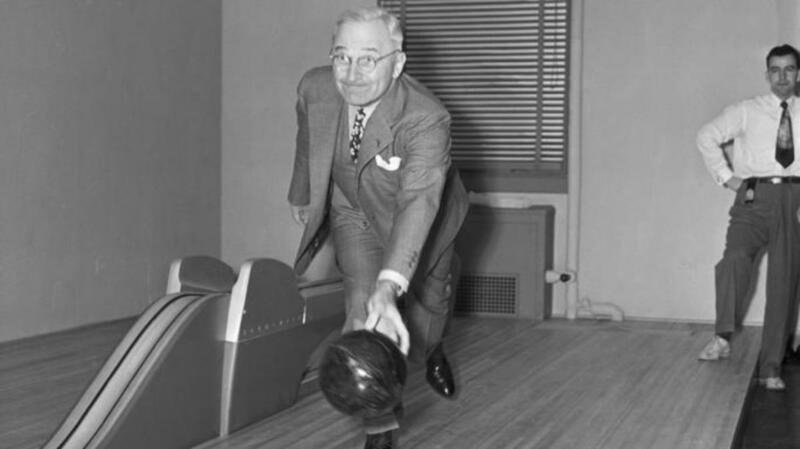 But during Harry Truman’s time in office, the space was put to far more enjoyable use: It was the site of the first presidential bowling alley, a 1947 birthday gift from supporters in Truman’s home state of Missouri. Though the president hadn’t bowled in more than 30 years, he gamely gave it a try–knocking down seven pins on his first attempt. He used the bowling alley infrequently after that, but his staff enjoyed the presidential perk and formed a White House league. The bowling alley itself was moved to the Old Executive Building next door in 1955. Almost 15 years later, President Richard Nixon and his wife, Pat, both avid players, had a new one installed in the building’s basement. Two years before he received the bowling alley, however, President Truman was given a far less traditional, but much more meaningful present. 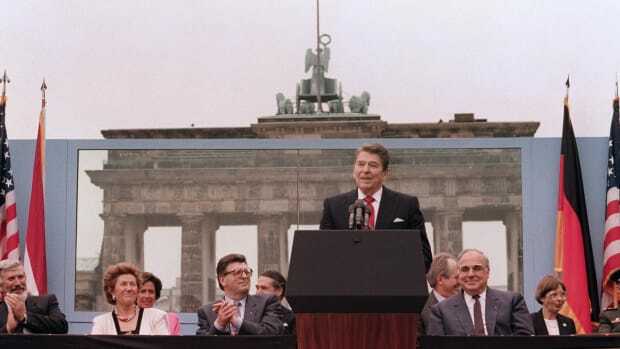 On May 8, 1945, less than four weeks after he had assumed the presidency following the death of Franklin Roosevelt, Truman received word of the unconditional surrender of German forces, ending World War II combat in Europe. This day, which we know as V-E Day, set off celebrations around the globe. A somber–but relieved–Truman addressed a joyous nation and then quietly celebrated his 61st birthday with his aides and family. 4. 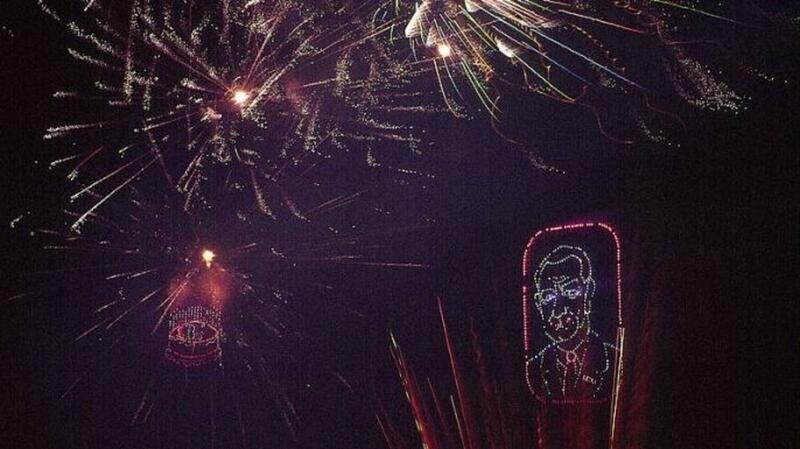 Lyndon Johnson gives himself a birthday party on the national stage. Outgoing, gregarious and sporting a Texas-sized personality, it’s perhaps not surprising that Lyndon B. Johnson enjoyed being the center of attention on his birthday. Many presidents have attended parties and fundraisers celebrating their big day, most notably John F. Kennedy in May 1962, but few have been audacious enough to give themselves the birthday gift Johnson did in 1964. Eager to escape the shadow of his slain predecessor, Johnson decided to use that year’s Democratic National Convention in Atlantic City, New Jersey, to secure his place as the head of his party–and what better day to do it than on his 56th birthday, August 27. Johnson convinced organizers to schedule the convention’s final day–when he would accept his party’s nomination—for that day. Following his acceptance speech, the usual convention trappings of cheers and balloons gave way to a pre-arranged sing-a-long, as the delegates serenaded the birthday-boy-in-chief with a chorus of “Happy Birthday”—complete with a fireworks display. 5. George H.W. 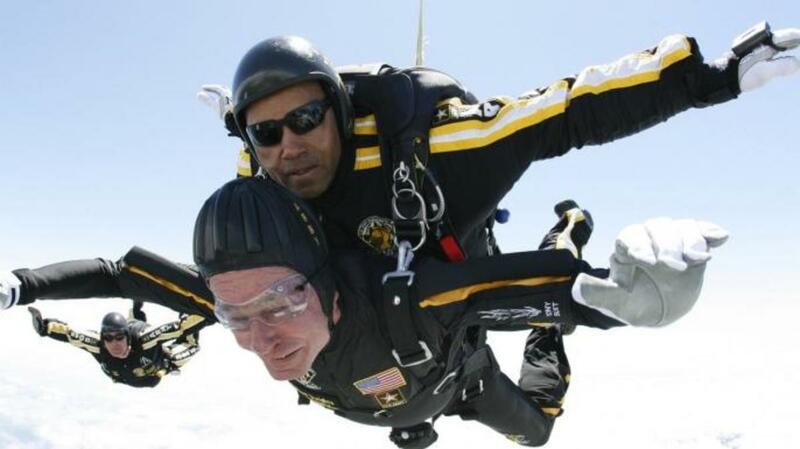 Bush jumps out of a plane–repeatedly.